February 2008 Archives - mudd up! Hello kitty kitty kitty … Are you an orphan? Are you Sudanese? 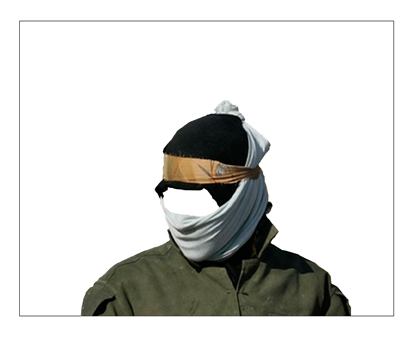 Chadian? Are you a sub-Saharan African suffering from mild mental retardation? Are you an African woman suffering from the African male? Would you like an Oxfam biscuit? Organic antiretrovirals? Have you been raped? You might not know it, but you are an orphan, a refugee. Can we fly 103 of you to France to be loved? We can breastfeed you. We can make you a Darfur orphan. Even if you are not. If you are black and under 10 years old, please come talk to us. Complexe et diversifiée, la méditerranée laisse entrevoir histoires communes et singularités, entre mémoires et enjeux d’avenir. 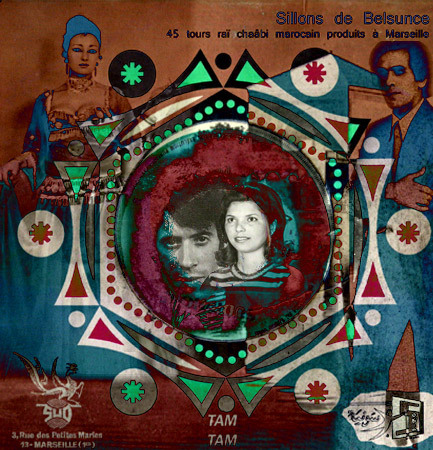 Damien Tallard presents “Espadrille“, a streaming selection of North African music produced and issued on vinyl in Marseilles from 1950 through the 1970s. Marseilles occupies a special place in my heart ever since i first stepped foot there (the view from the gare!). Partly because it is reminiscent of Barcelona with the horrible tourism aspects removed, partly because it is Maghrebi, partly because of the wonderful people I meet every time I go through, a unique fold in the map… Visiting there its difficult to recommend people specific places to go — Marseilles magic, for me, is non-obvious, not immediately visual, slow-moving and deep, in a sense it is like Madrid, another city capable of being user-unfriendly at first, which blossoms the more time you spend there. 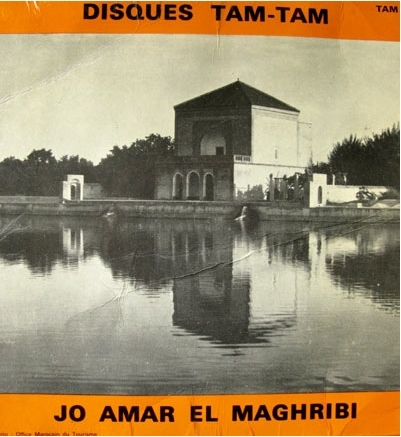 Tallard’s Espadrille post contains tantalizing info — a tangle of streets, a trio of labels, a distributor — that makes me want to learn more & some lovely, annotated album artwork scans. 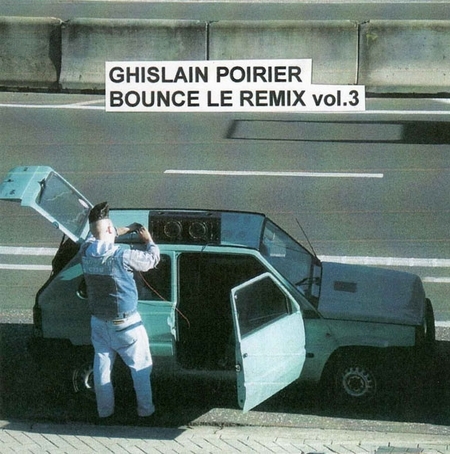 2 weeks from now, Ghis will stop by my radio show while on tour; until then, here’s leaked heat from his brand-new bootleg CD: Bounce Le Remix vol. 3! of special interest on vol. 3 are some insane soca refixes, although this jam takes the Lip Gloss acapella and adds a riddim as minimal as the original — which necessitates serious focus since the original was just a compressed, brash beat. Ersatz steel drum massive, STAND TALL. just landed, off to a (fundraising) Marathon edition of the radio show. 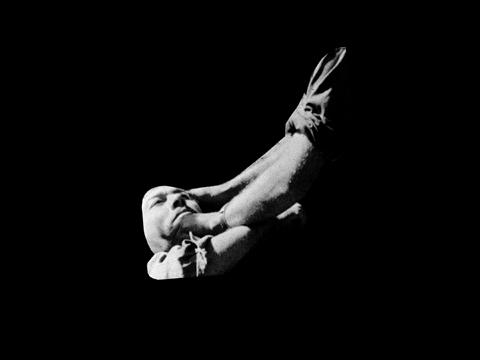 for today only, WFMU’s blog hosts an mp3 from my Dj Premium, which is a potent batch of single-minded cumbia digging, cumbia in travels, listen. Then in Fiesta de Niños we have a brief performance of El Bobote, who plays one of the gangsters in Gatlif’s Vengo. Both his potato nose and his graceful traditional dancing style haven’t changed in years… Ok, he’s lost some hair and gained some barriga, but the art remains the same. 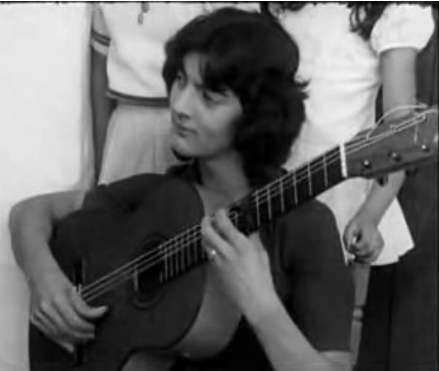 Remedios Amaya performs in Gatlif’s classic Latcho Drom in a similar scene as the Fiesta de Niños clip below, singing and dancing surrounded by family. Her voice is quite particular, easily recognizable like her puppy Sharpei’s face. Whenever Remedios sings the guitarist has to lower the tones and slow down the rhythm to cope with her warm beautiful voice. In a sad footnote, Remedios career was drowned early, after she competed at the Eurovision music festival in Münich, 1983. She gave an astonishing performance but the song was nulled for being considered too “ethnic”. Watch how the cameras follow her bare feet! She was blamed and severely criticized in Spain as a response, even though Remedios had been chosen to go to Germany and perform the song the way she did. 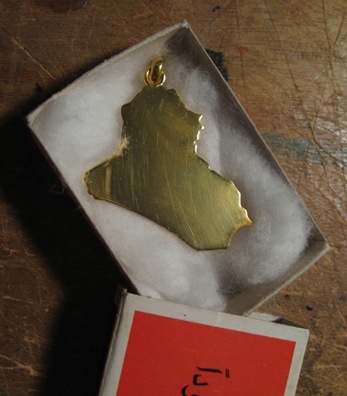 I don’t think she has been given the place she deserves yet, the Eurovision shadow has followed Remedios way too long. back to Africa? yes please. 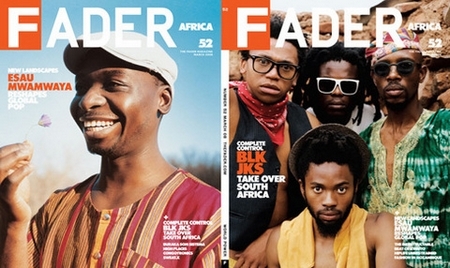 The Fader’s AFRICA issue is on newstands now — it’s big and beautiful. Free PDF version. Lush photography accompanies a wealth of articles, including a Sweat.X piece by yrs truly. yesterday on the Feb. 20 radio show, Brian of Awesome Tapes From Africa came through (again!) 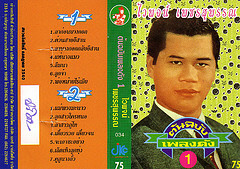 to share an hour’s worth of Thai cassettes from his time there. Lots of nice feedback from this show already. Artwork cover scans. My artist’s talk/lecture at the Eindhoven Univ. of Technology happens today – 8:30, free, followed by a duo set with Andy Moor on guitar. Andy & I just finished editing our upcoming live CD which will be officially released in a few months, containing some pieces from the previous cd-rs and about 30 minutes of unreleased material from 2007 concerts. over at Dutty Artz, i encourage you to check out this post on ‘The Craziest Riddim’, which is a story about how Team Shadetek’s “Brooklyn Anthem ft 77Klash & Jah Dan” single has gone viral among NYC teens, with no fewer than 66 youtube vids featuring kids dancing to it!!! The seminal one, by Ambush crew (a boy and a girl dancing in some room, with swordplay), has received more youtube hits than the ‘actual’ video for the song itself. Totally unprecedented & awesome, i’ll try to write more on the song’s fantastic migration. Plus i love how the hive mind re-named the instrumental with that super superlative: craziest. more in a bit. Computer death has put a kink in my mp3 posting. 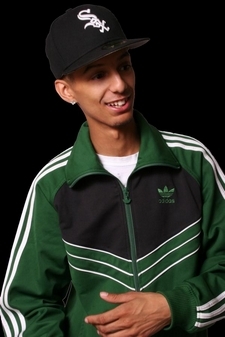 british brown/white/black grime & b plus Mr. Beats’ string quartets made of plastic. Cool? 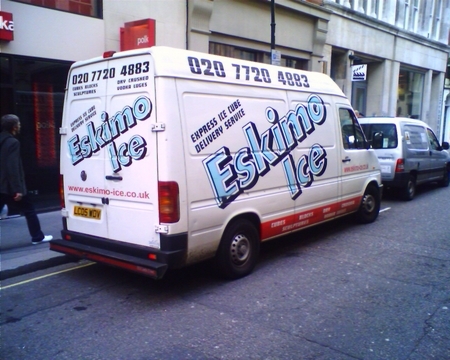 Ice cold. the first tune is on Bless Beats’ new mixtape, Hard Days Graft. 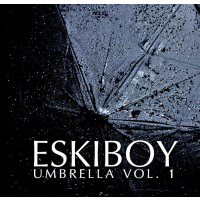 The 2nd is on both Wiley’s new mixtape, Umbrella vol. 1, and the Bless Beats one. 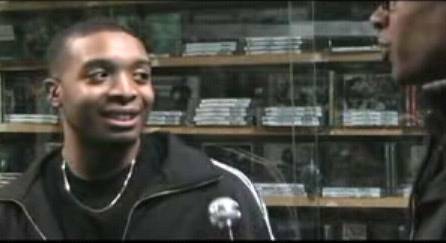 Avalanche Music Hut is Wiley’s new online shop, btw. U.A.E., home of Dubai, sends a tourist to prison for 4 years [BBC]– because he had 0.003g of cannabis stuck to his shoe. At a pre-outrage level, i find it amazing that 0.003g of anything can be legally illegal. As the BBC reports, the mandatory 4-year sentence can be levied to those with bloodstream or urine traces and other micro-amounts (or instrument misreadings!!). I won’t even mention the Swiss doing his 4 years for having breadroll poppyseed crumbs on his clothing etc. Secret Dubai Diary tells it like it (always) is. Meanwhile George Bush — no stranger to drug & alcohol law evasion — is trying to put armed men on an transatlantic flights [Guardian] and bullying European airlines for other ridiculousness. Anyone who’ll feel safer with a patriotic American cop packing heat on an airplane, please use the emergency exit. Seriously, as someone who travels a lot and knows many individuals (including some amazing musicians) who simply won’t enter the USA because of the fingerprinting and photos and rigamarole, it is crushing to watch borders tighten, suspicion a coral reef turning us island. returning to Dubs: On thursday April 3rd, I will be participate in a panel discussion at Harvard University about “the unique challenges the landscape of places like Dubai present to our ability to talk about or theorize them.” Followed by a low-key afterparty with… Details soon. Next thursday, feb 21 I’ll be giving a talk on globalization & music at the Eindhoven University of Technology (Netherlands). followed by a duo set with Andy Moor on guitar. and on saturday feb 23, i’ll be DJing on a boat in Copenhagen. I’ve never been to Copenhagen! Reports say the boat people are good people. A small crew of New Yorkers are coming out for this, should be lively. Yes, DA TV #3 just lept out! This one focuses on Dexplicit, club footage preceding an interview excerpt. i broadcast the interview on my radio show last week [streamable in its entirety, edited podcast version of the show goes out this wed.] Cincinnati listener DJ Empirical taped the show, then removed the most of words and music, leaving us with 2 weird minutes: um, uh, mmm, er. Rheim used to send me things in the mail.